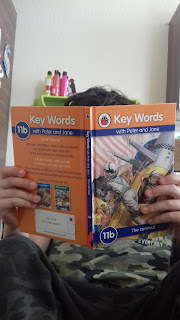 DS6 has a 'break' after Maths and goes off to play with DD3 or has a little read of his Peter and Jane books. He's now becoming much more of a confident reader and enjoys reading books of his choice. 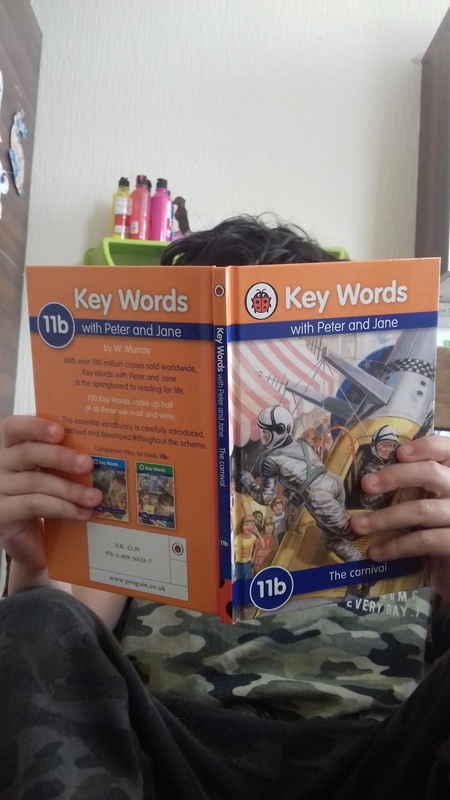 The Peter and Jane series has really helped him and quickly pushed him ahead, as he was quite reluctant to read at first. 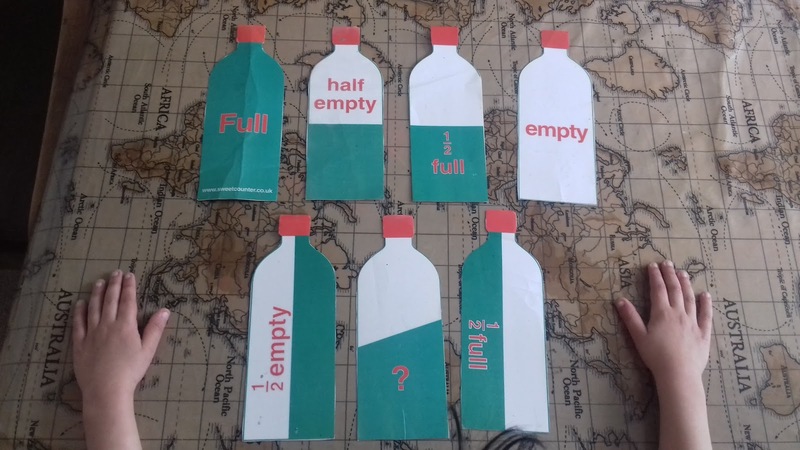 He can now go along to the library and choose his own books to read. After he has completed a story book we always follow it up with extension work such as writing a letter to a character from the book, writing a diary entry for a character, changing the story ending, comprehension work or writing a book review. 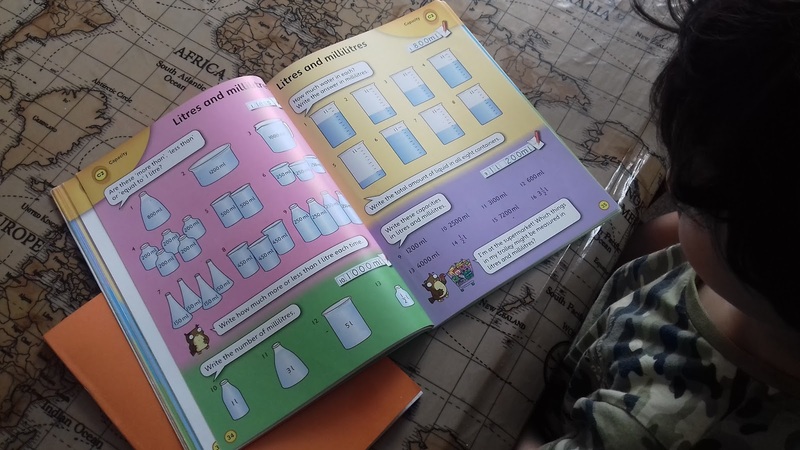 So after his little 'break' he comes back to the table to do some writing exercises and 'Word Work' where he will revise his sounds, spellings, grammar & punctuation. 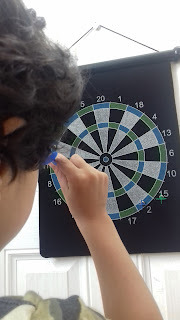 DS6 is more practical and loves 'hands on' learning so here he is doing some quick addition at the dartboard. 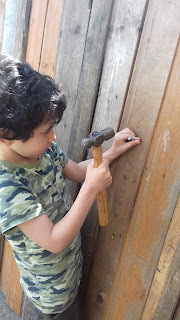 He then headed off into the backyard to help his Dad with a new woodwork project! Most afternoons are spent outdoors, either at the woods, park or library. 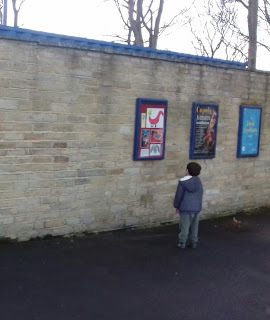 Our local park has an Art Gallery which DS6 loves to visit. Here he is having a quick look at some of the Artwork displayed on the outdoor Art wall. 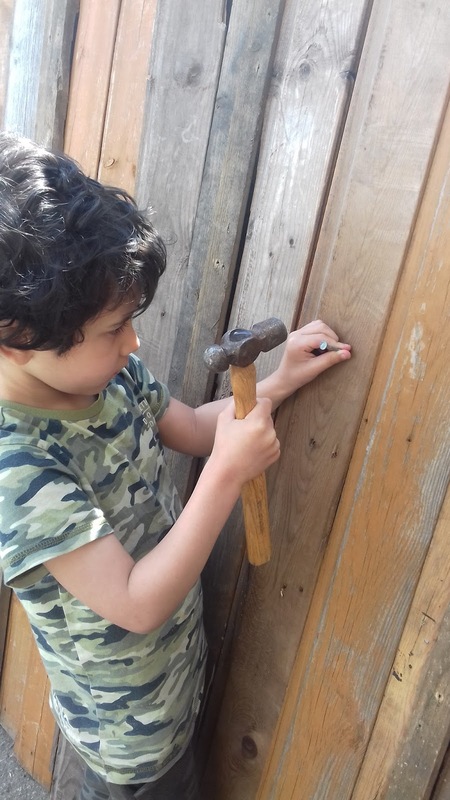 Science is always 'hands on' and DS6 loves learning about animals and habitats at the moment. Now it's Spring he has started learning all about Plants. 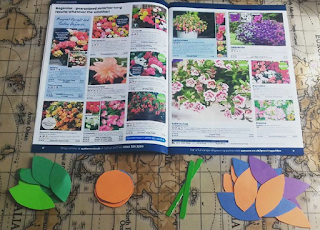 Here is his 'Make a Flower' activity. What's your 6 year old been up to today? Look out for our next 'Day in the Life' post for DS9!